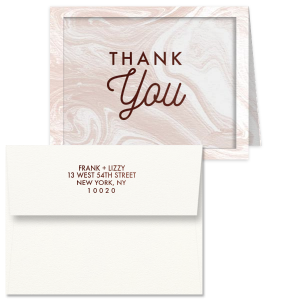 For Your Party custom Note Cards are top-quality paper in the style and color of your choice. Colors are coordinated as closely as possible to match our napkins, but may not be exact. 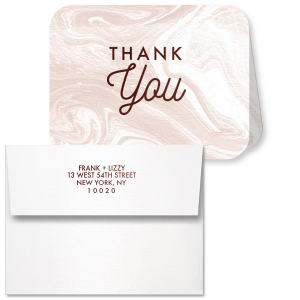 Our Note Cards come with envelopes and are industry standard sizes. Note Card Envelopes are also available to purchase alone. Personalize your Note Cards with text and illustrations from our extensive, designer-curated collection. With over 100 paper colors, 150 fonts, 50 foil colors and 1,300 clipart images, you can create the perfect party accessories for your event. You also have the option to Upload Your Own Art for a truly unique product. 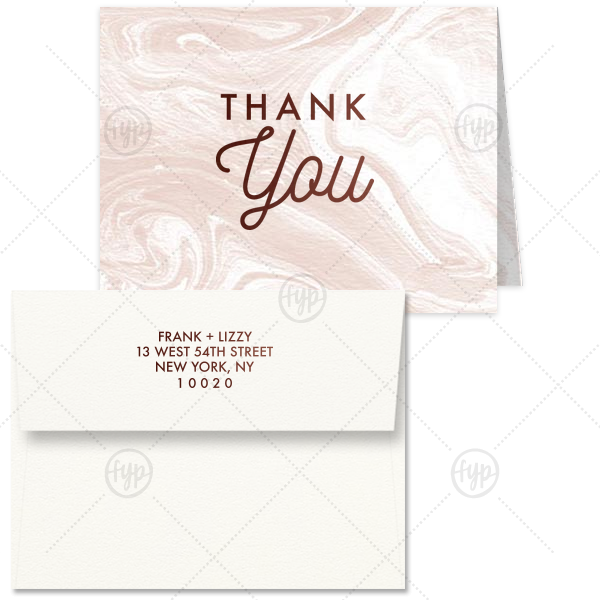 Our custom Strathmore White Classic Note Card with Envelope with Shiny Turquoise Foil has a Thank You graphic and is good for use in Wedding, Birthday, Mitzvah parties and more. This simple yet elegant design will make your guests swoon. Personalize your party's theme today.